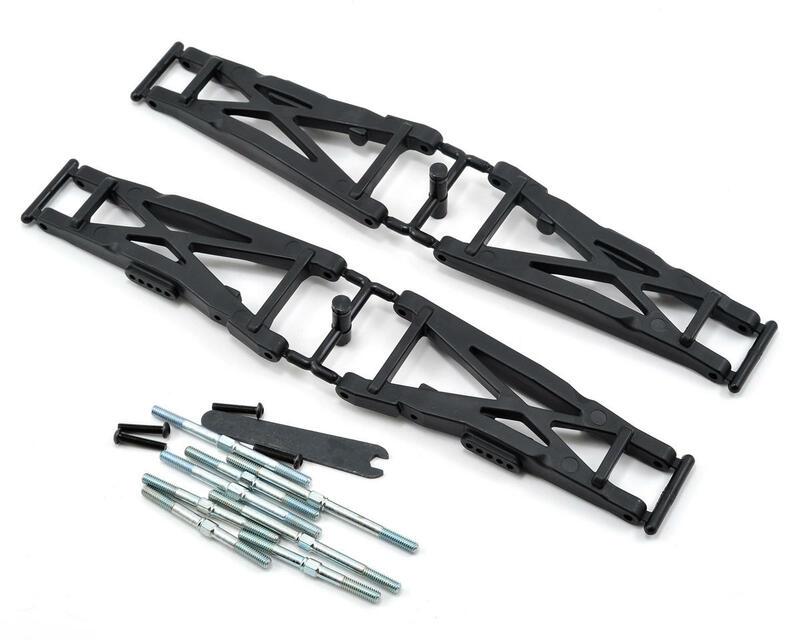 This is an optional Pro-Line ProTrac Suspension Kit for the Traxxas Slash 4x4. Pro-Line's ProTrac Suspension kit for the Slash 4x4 is an easy to install modification that will greatly increases forward acceleration, corner speed, consistency and drivability. Pro-Line revolutionized the 2WD Slash with the original ProTrac Suspension kit and now the same advantages are available for your Slash 4x4! The kit includes longer Front and Rear suspension arms for improved handling, ProTrac wheels that bring the truck back to Stock ROAR Legal width and new longer turnbuckles. The ProTrac arms not only look better than the stock arms, but they are beefier and have more suspension adjustment holes so you can dial in the truck to your track. 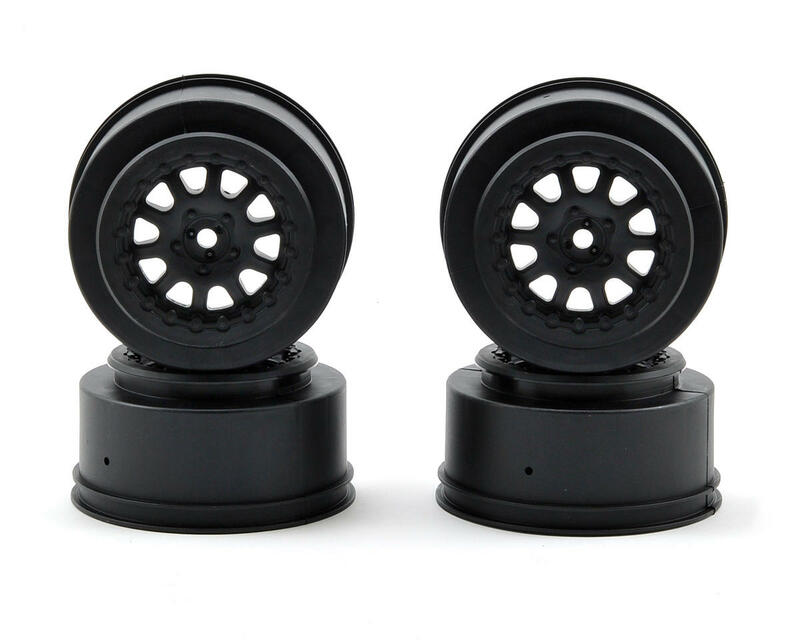 Also, Pro-Line’s ProTrac wheels have become the standard in the 4x4 SC class with the SC10 4x4 and SCTE 4x4 both capable of running ProTrac wheels. If you only do one upgrade to your Slash 4x4, this is by far the one to have because Pro-Line's new ProTrac Suspension kit will transform your truck into a true RACING MACHINE! If you already own X-Duty CVDs for the Slash/Stampede 4x4, you can use MIP11105 Male bones to convert your drives to the new length. Axles can then be skipped in this case. Finally Proline! This is probably the first upgrade I would get for the Slash 4x4 if you wanted to race. Drastically increases your truck's ability to go faster through turns. Makes the truck feel more planted and if you're running with a lcg chassis, you'll propably never traction roll again! Install took about 2 hours. Make sure you notice the difference in lengths of the tie-rods, 4 longer ones up front, 2 short ones for the rear. Heard some complaints of the plastic being too soft, but mine have been fine the 2 months I've had it. 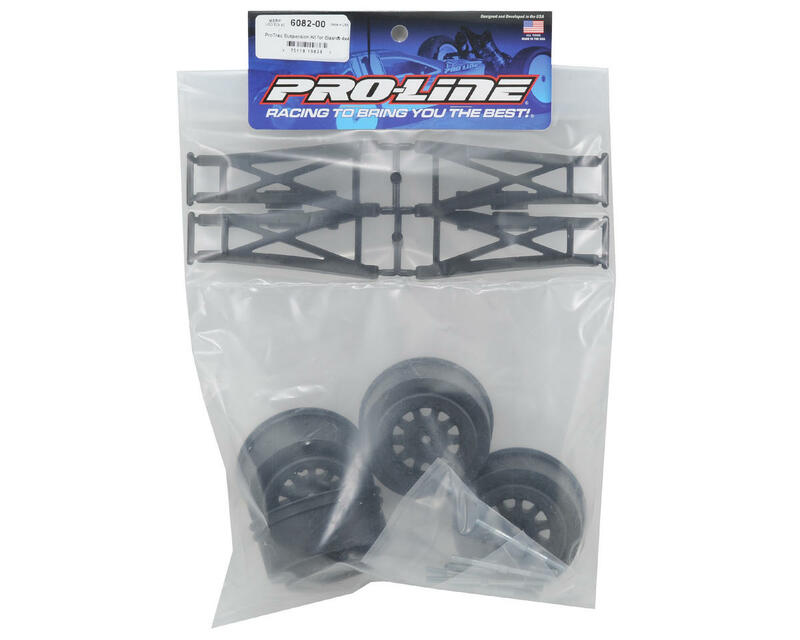 If yours does happen to break, Proline's great customer service will send you their v2 version arms for no charge.